Brazilian full professor in California, Mr. Walter Leal coordinated the research that identified the molecule attractive to the psyllid. 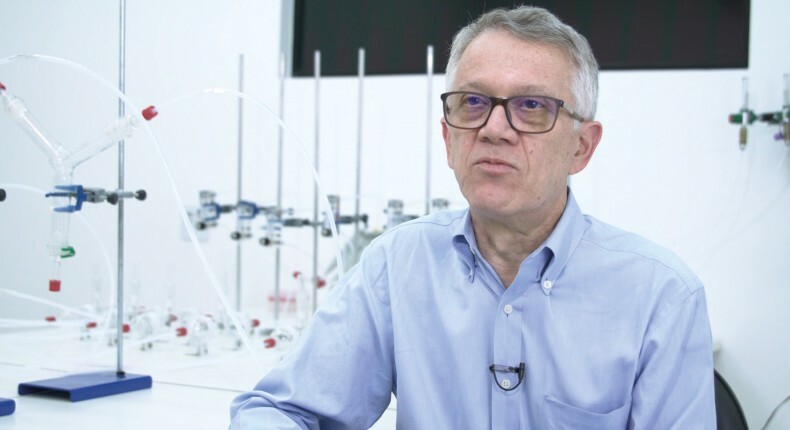 For more than two decades, researcher Walter Leal has been considered as one of the world’s leading specialists in chemical ecology and insect olfaction. In the 2000s, Mr. Leal joined the team that identified the pheromone of the citrus fruit borer, one of the worst citrus pests at the time. Currently, he coordinates the project that looks for attractive odors to the psyllid. In 2017, the group made an important discovery for citriculture: the identification of the sexual pheromone of the psyllid, the transmitting insect of citrus greening. With this work, the expectation is that in the future the pheromone can be put in the traps to attract the psyllid, and thus help in managing the citrus greening effectively. Among the benefits of this type of research for citriculture and the environment are the use of measures that could reduce agrochemicals for disease management. “I’m also very happy to see the genuine interest in using techniques that are kinder to the environment, such as the use of biological control products, pheromones and other semiochemicals,” says the researcher.